can't, can't we all get along???? Then I can understand Pelosi’s decision. Doesn’t mean I like her, just that I can understand her action. Indiana is the RV manufacturing capitol of the USA. 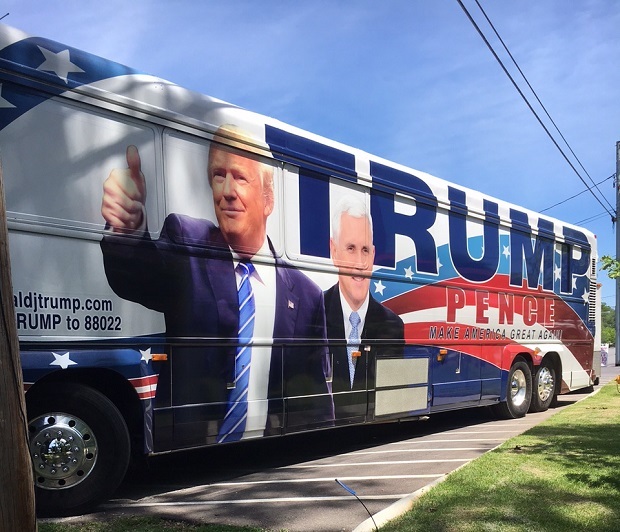 I propose Mike bring in a big honking motorhome to serve as HQ. Gerry Nadler couldn’t fit through the door in his office anymore so they needed to knock down the wall between his and Pence’s to get him out. Now they figure ‘just let him keep it so we don’t have to go through this again’. That’s all right, he has an office right next to the President’s at the White House. Nancy may have some problems getting through the gates at the White House. Someone will tell her: Sein Papierein sind nicht in Ordnung. Yup. Use it or lose it. Hope I’m not infected with something. Big deal... Anything to make it look like Nancy is in control. I’m sure Pence is sitting at home crying his eyes out. VP Race Bannon will manage. Sorry, but the Vice-President does not need space or an office or anything else on the House of Representatives side of the Capitol. He has an office on the Senate side because he is the president of that body. That is enough. That worries me more than space. Petty Pelosi pulls Pence preferential place. She probably needs the space for Tlaib and Omar’s goats and the Ocasio’s donkey. Sounds to me like Lyin’ Ryan was just trying to co-opt Pence away from his boss. It sure as he** didn’t help get any of the Trump agenda passed through the House. Does it have a loft....for the hay. Petty, pigheaded, presumptuous, perfumed princess pig-piker Pelosi promptly pulls Pence preferential political place.